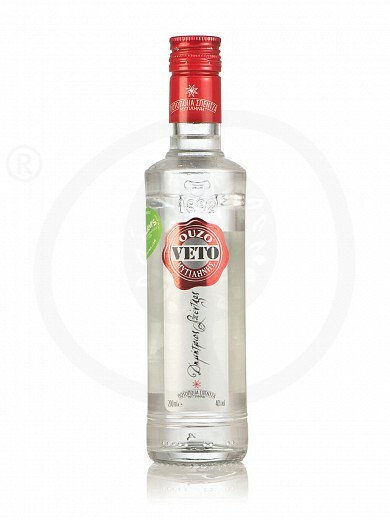 The ouzo "VETO" is produced on the island of Mytilene in the Northern Aegean Sea. 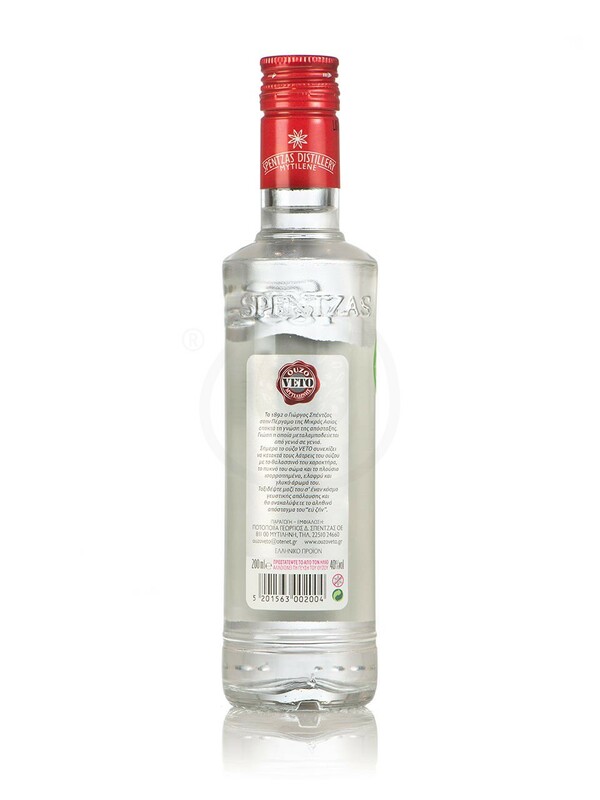 It is an aromatic ouzo, distilled with anise and other aromatic herbs, in copper stills. It is ideally combined with fish mezé, vegetable pickles and fried mezé. Ouzo, a traditional Greek distillate, is synonymous with joy and delight, good company, meze and relaxed mood. 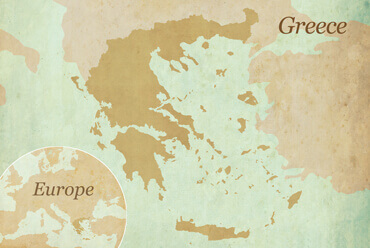 The main places of origin are the islands of Lesvos and Chios, and Northern Greece. Greek ouzo has been designated by the European Union as a “national product“, which means that the name “ouzo“ is not allowed to be used for any other european drink. In accordance with european legislation, “ouzo“ is the product that consists of at least 20% of distillate of agricultural origin (cereals etc.) and the rest of flavored alcohol with a dominant aroma of anethole (the essential oil of anise). Today, every town or village of Greece has its own traditional ouzeries, serving ouzo accompanied with meze. It is ideally served in a narrow glass with cold water which turns it from crystal clear to milky semi-transparent drink, as anethole is separated in the form of a nebula. Just magical! It was in 1948 that Dimitris Spentzas founded the first factory of distillery in Mytilene, the place where his family lived permanently. Dynamic with confidence and trust in the produced ouzo distillers, named his product Ouzo VETO, with the certainty that it will be imposed not only in the domestic market but also there will be future dynamic growth in the export sector too. And his dream came true! 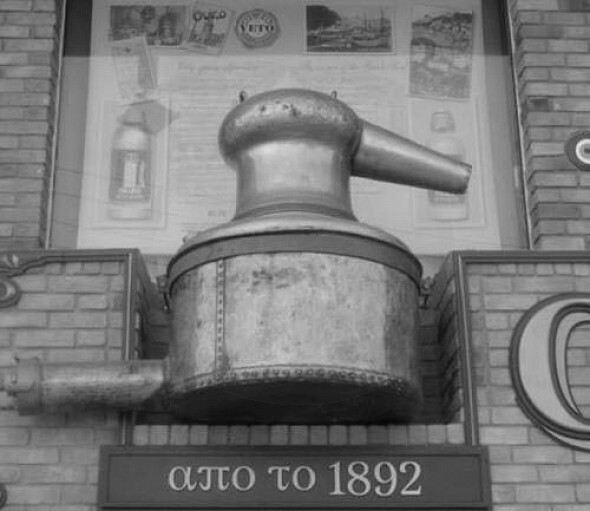 Till his death he will discuss with his son George, who was raised in the distillery, about his favorite drink Ouzo and his dreams.The distillery achieved the creation of a competitive product, with a stable quality and great qualities raw materials. Moreover, it was equipped with the latest technology and since the ‘70s while his son George took over the company’s management. As a result, there are new facilities, certified, good quality and well-taken care of products, environmental concern and innovative attitude. The innovative idea of packaging must be mentioned, since a metal bottle is used, offering a fine product with the authenticity of timeless tradition. Lesvos is an island of ancient historical interest - an island which has been conquered by many different populations. 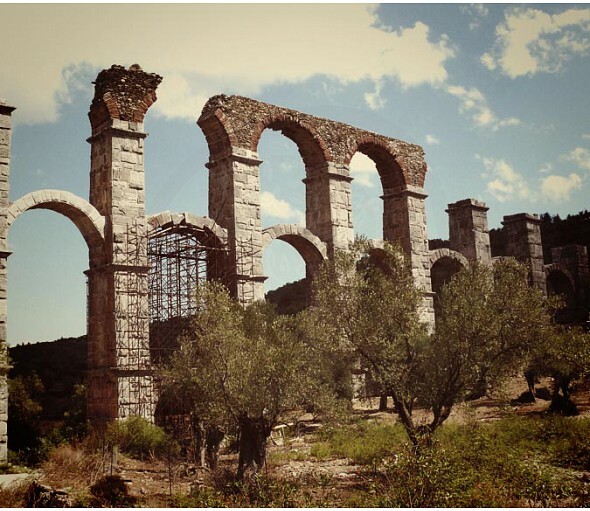 It was originally inhabited around 3200-2400 BC and in 1100 BC it was colonized by the Aeolians. In the years that followed, it was occupied by Romans, Byzantines and finally by the Turks until 1912, the year when Lesvos was reunited with Greece. Lesvos is situated in the northern Aegean Sea and it is the third largest island of Greece. Its archaeological sites, impressive and dominant Byzantine and Venetian castles, the monasteries and the churches but also the traditional villages, all reveal the island’s history throughout the years. Lesvos can proudly boast about its glorious mountains, valleys, sandy bays and beaches, hot springs and the most impressive “Petrified Forest” which is a must-see for every nature-lover visiting this exquisite island. Login to earn 5 Olives for purchasing this product. An ouzo from the magnificent island of Mytilene!